The City of Lynden has embarked on a long-range development project known as the Pepin Creek Project. Its goal is to relocate Pepin Creek and convert approximately 470 acres of agricultural land, within the City’s Urban Growth Area, into developable residential property. The Pepin Creek Sub-Area (PCSA) has been targeted as the next development area for incoming residents. The comprehensive planning efforts for this sub-area seek to ultimately create a desirable and attractive neighborhood for Lynden residents to live and recreate. There are several significant issues currently preventing the “easy” residential development of the PCSA. At this time, stormwater is collected and conveyed via large ditches adjacent to farm fields and along narrow roads – Double Ditch Road and Benson Road. The “ditches” along Double Ditch Road are the historical remnant of Pepin Creek which was rerouted for agriculture as the Lynden area was settled. These ditches are fish-bearing and salmonids continue to use them for spawning grounds, rearing and to get to better habitat north of the Canadian border. These two major roadways, Double Ditch Road and Benson Road are substandard urban roads and needed improvements are not possible until the existing waterway system is modified. Furthermore, during seasons of heavy rainfall these waterways and the surrounding areas (which are currently mostly agricultural fields) are often inundated. Three noteworthy, unique weather events have occurred in this area in the past 20+ years that have resulted in road closures and property damage. There are multiple complex components of this Master Planning process. Land Use Planning – determining the character of the neighborhood, what will the PCSA look like? Through the Tabs below, the City will seek to update progress as significant milestones are reached. Be a natural neighborhood amenity that provides bike/pedestrian connectivity and other recreational opportunities for residents. 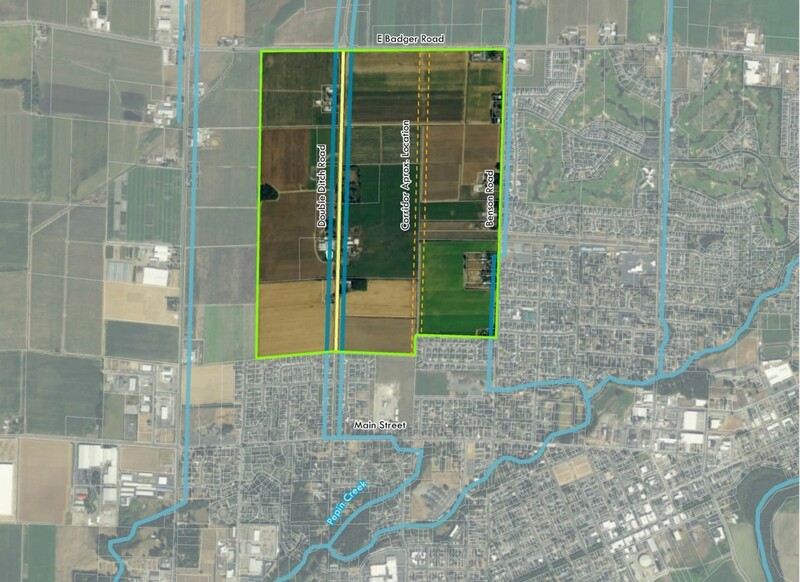 The city has already acquired a majority of the land where the new corridor will be constructed and is working with a local engineering firm (Reichardt and Ebe) to design the elevations of the new channel and other infrastructure projects. Linked above is the draft Pepin Creek Subarea Plan. It is subject to change. This is the preliminary document that will go forward in a public hearing in front of the Planning Commission and final adoption by the Lynden City Council. Formalize a vision, with development goals of the Pepin Creek Subarea that maximizes residential development while optimizing recreational opportunities. Provide a detailed phasing plan for the project which addresses the long-term corridor construction and a logical annexation schedule. Envision infrastructure needs, recreational opportunities, and neighborhood design features to lay the groundwork for the creation of a desirable and attractive neighborhood. Once completed and approved this document will provide specific guidelines for the way that future development occurs within the Subarea. The City has contracted Communita atelier to develop this subarea plan.